Billionaire activist investor Carl Icahn penned a new open letter to Apple shareholders on Monday, and he's singing a different tune than he did in his last letter. Icahn had originally been pushing Apple to spend some of its on-hand cash to repurchase shares of Apple stock and return some of the cash to shareholders. Icahn wasn't messing around, either; as of late January he had more than $3 billion invested in Apple. Now, however, he says that doing too much of that is a bit like "bailing with a leaky bucket" and that he agrees with a report from an advisory firm, ISS, that Apple's recent $14 billion buyback is indeed aggressive enough to satisfy Icahn's demands. Apple is still on track to repurchase $32 billion in shares this year. 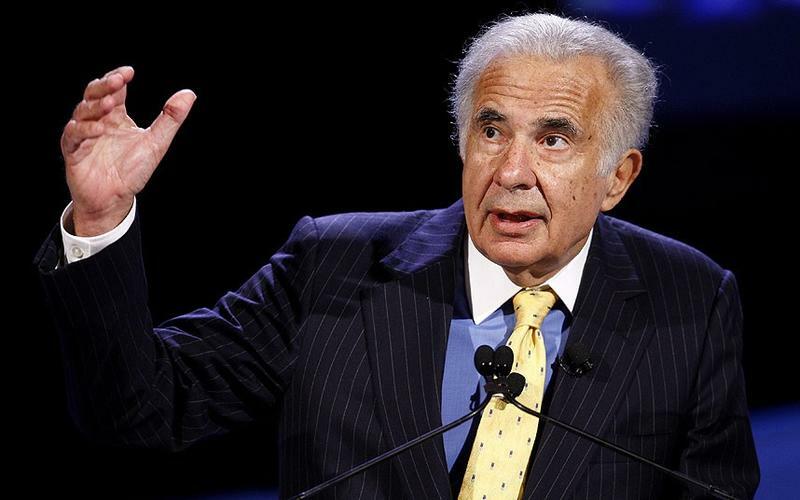 "We see no reason to persist with our non-binding proposal, especially when the company is already so close to fulfilling our requested repurchase target," Icahn said in his letter to Apple shareholders Monday morning. He also suggested that Tim Cook's gameplan to enter new product categories is another reason to stick behind the company, and its decision to invest cash in that area instead of in stock buybacks. "In light of Tim Cook's confirmed plan to launch new products in new categories this year (in addition to an exciting product roadmap with respect to new products in existing categories), we are extremely excited about Apple's future," Icahn said. "Additionally, we are pleased that Tim and the board have exhibited the "opportunistic" and "aggressive" approach to the share repurchases that we hoped to instill with our proposal…. We all share a common optimism with respect to the company's bright long term future." Icahn has suggested in his previous letter that he believes Apple will enter the market with an iTV and an iWatch, suggesting that the latter may cost around $300. Most industry watchers agree that Apple will at least enter the wearable market, though some rumors suggest Apple's iTV project will first start with a revised Apple TV set-top box with a focus on apps and gaming.